Learn the VLOOKUP functionality in 30 minutes or less! 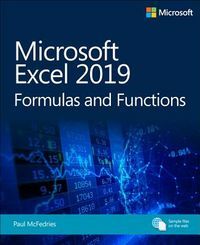 Updated for Excel(R) 2016 This comprehensive book offers easy to follow examples with screenshots demonstrating how to use the VLOOKUP formula. Organized into 3 step-by-step sections, allowing you to grow your knowledge of the VLOOKUP formula at your own pace: ****Exercise Files Included! **** VLOOKUP Basics: What the VLOOKUP formula does The parts of a VLOOKUP formula Detailed examples on how to use the VLOOKUP formula Incorporating the IFERROR functionality into your VLOOKUP formula And when you have more than 30 minutes... How to apply the VLOOKUP formula across multiple worksheets How to apply the VLOOKUP formula across multiple workbooks How to use the VLOOKUP function to look-up and calculate a number based on specific criteria In addition to the above, you will also learn how to troubleshoot and resolve common VLOOKUP errors, saving you hours of frustration! Reasons why you may be receiving the #N/A error message Reasons why you may be receiving the #REF error message Reasons why your VLOOKUP formula was working, but now you're getting the wrong values And more... 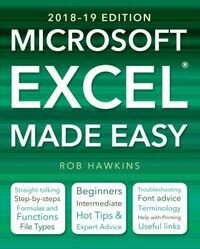 Imagine the time you'll save by not having to search the internet or help files to learn the most practical ways of using one of Microsoft(R) Excel's(R) best features.